Do you have a preschooler that seems to be completely out of wack when you slightly change your schedule? This may be due to a change in their life balance. 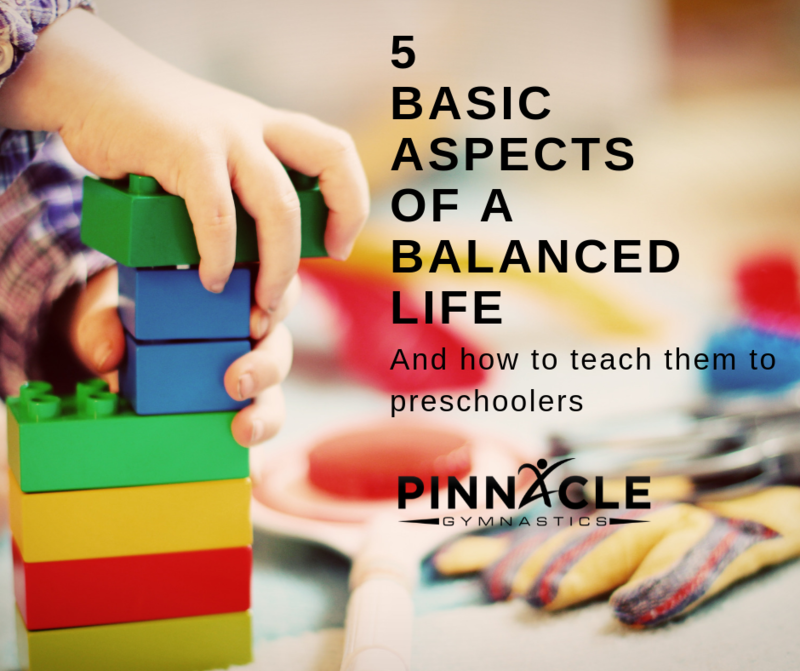 It may seem a bit crazy to teach your preschooler about life balance and moderation, however it is one of the most critical times for this development. 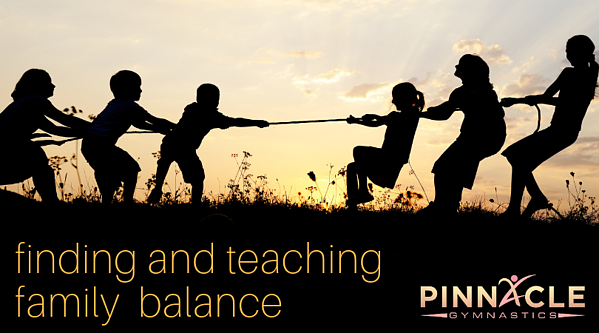 During their preschool years, students are often craving a balanced schedule, from play and free time, to structured dinner and rest time. Time Management: Time management is important for everyone, and will make life easier for all involved if you preschooler is on board. Teaching your child to understand the basic concepts of time; from understanding a limited amount of time available, keeping efficient time in transitions, and so much more. Some of the best ways to help institute this in your family includes making to-do lists for the whole family, setting goals for a day, and teaching your child to break down large concepts to smaller, easier to do projects. Stress Management: Yes, even your preschooler can be stressed. Preschoolers often show stress by acting out, becoming uncharacteristically reserved, and sleep problems. If you see these signs, talk to your child. Preschoolers are typically very honest and hopefully you can work together to alleviate the stress. You may also look at your current balance to see if anything needs to be adjusted. Realistic Expectations: Expectations are key for your preschooler. It is important to set realistic, easily obtainable expectations, however they need to be geared towards your child. If you have a strong willed child that rises to meet expectations, set them high! If you have an easily frustrated child that shuts down with failure, set them low and often. It is not bad to set lower expectations, the key is to have your child meet the expectations and thrive within them. Healthy Lifestyle: You, as the parent, need to live the lifestyle you would like your child to live. Preschoolers are amazing mimics, so you need to be a good example for them. 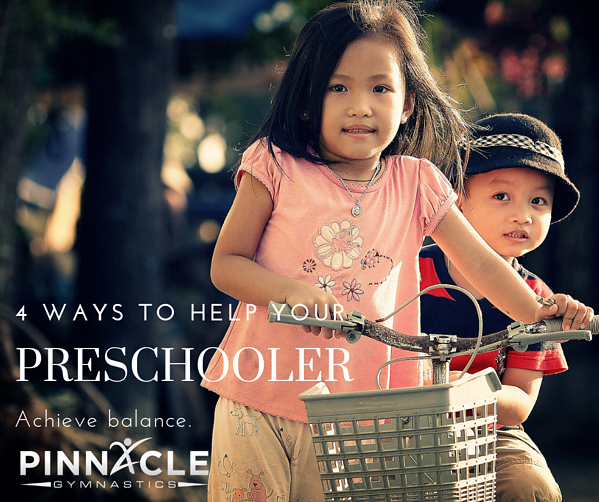 By instilling a healthy lifestyle and balance, your preschooler will most likely follow right behind. While you will need to evaluate what is the most important for your child and your family, it is important to have the basic aspects for a balanced life. Each child will need a different amount of time for each activity, but it is crucial that you have each portion in your child's day. Structured Play: Either in a classroom or at home, it is important for your child to have some structured play time. Your child will need some set guide lines and expectations during this time. Free Play: The opposite of structured play, free play allows for your child's brain to lead the way! It is important for imagination and cognitive development, as well as allowing for your child to self regulate. Rest Time: Some children will need more rest than others, however all children will need to sleep each day. It is important that rest time is a priority for all families. Rest time can also include time that allows your child to reset their feelings and emotions, either through breathing exercises, yoga, or so much more. Food and Meal Time: This is not just a chance to eat, but a time dedicated to eating. Making sure your child understands the importance of sitting down and eating a balanced meal is critical. Health and Wellness Time: It is important for your child to schedule time each day for bath or shower, as well as other health aspects, including brushing teeth and mental wellness. It is important for you to find your preschoolers personal balance, which can change from day to day. By allowing your child to have a say in what they would like to do, it will help them develop the ability to set their own daily life balance. Preschool Shawnee has many different options for your preschooler. Check out Gym and Learn for a balanced option. From two year old preschool to pre-K development: students will explore with their bodies and minds!